SAME DAY TREATMENT AVAILABLE! SCHEDULE NOW! STOP THE PAIN. 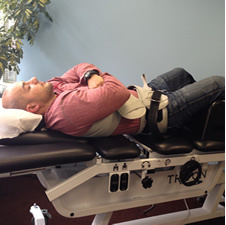 TRY NON-SURGICAL SPINAL DECOMPRESSION TODAY! Montclair Chiropractor, Dr. Eshanov has years of experience and strives to share his knowledge with his patients and friends, his goal is to help you achieve complete wellness. Request your appointment today! Non-surgical spinal decompression therapy (also often referred to as traction therapy) is ideal for treating injuries like buging or herniated discs in the neck & lower back. 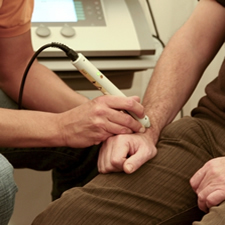 Unlike surgical treatment, decompression is completely safe and non-invasive. Therapeutic Exercises can be performed to attain or correct a physical condition. At Dr. Eshanov Chiropractic, we routinely use Therapeutic Exercises with patients experiencing weakened muscles or fatigue, lack of range of motion, decreased joint flexibility. Dr. Gary Eshanov and his chiropractic office in Montclair, NJ are proud to offer preventative chiropractic care, non-surgical spinal decompression, cold laser therapy and other physical therapy modalities. Eshanov Chiropractic’s friendly staff is ready to help all of their patients become pain free with their non-invasive care techniques. Whether you are recovering from work related injuries, auto accidents, or muscle sprain, or just want to stay healthy, our Montclair Chiropractor, Dr. Eshanov, is ready to help.